Study reveals wide gaps between Israeli and American Jews on religiosity, politics, Palestinian statehood, and the US-Israel relationship. A report published Tuesday by the Pew Research Center reveals a growing gulf between American Jews and Israelis on everything from religious observance and affiliation, to political ideology, and views on hot-button issues like Palestinian statehood and US aid to Israel. The world’s two largest Jewish populations, each numbering some six million, have strongly positive feelings towards each other, Pew’s Neha Sahgal said. Sahgal added that roughly 40% of American Jews have visited Israel – roughly the same proportion of Israeli Jews who have traveled to the United States. “That’s a pretty high number, 40%,” said Sahgal. 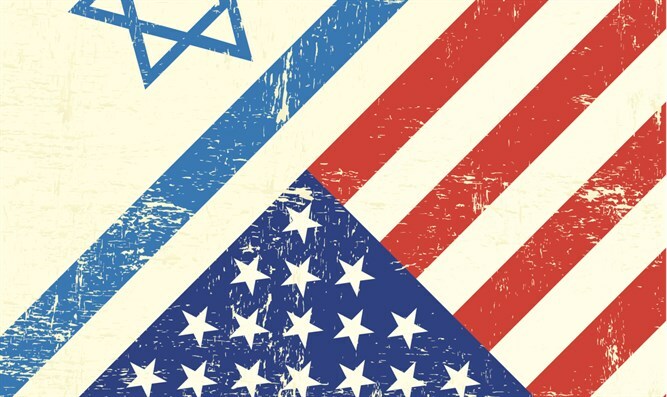 But while the relationship between American and Israeli Jews remains strong, the two differ sharply on politics, and contrast strongly in religious observance and identity. While American Jews lean strongly to the left, Israeli Jews tend to identify with the political center or right-wing. To some extent, this has created cultural tensions between some progressive American Jews – particularly among younger Jews – and the Jewish state. “They also have a strong liberal-to-conservative dispute,” Hebrew Union College’s Steven M. Cohen said, comparing the internal Jewish cultural divide to the rift between Republican-leaning “red” states and Democratic-leaning “blue” states in the US. According to Pew, 49% of American Jews identify as left-wing or liberal, compared to just 8% of Israeli Jews. While only 19% of American Jews consider themselves conservatives politically, Israeli Jews were nearly twice as likely to identify as conservative/right-wing, with 37% describing themselves as such. Twenty-nine percent of American Jews say they consider themselves centrist or moderate, compared to 55% of Israeli Jews. Given the differences in political ideology, it is unsurprising that American Jews and Israelis differ strongly on issues like Palestinian statehood and US support for Israel. A strong majority (61%) of American Jews believe that a Palestinian state can exist peacefully alongside Israel, while just 43% of Israeli Jews agreed. Israeli Jews were significantly more likely to argue that the US has not been supportive enough of Israel in recent years (52%), than American Jews (31%). And while nearly half (43%) of Israeli Jews believe Jewish communities in Judea and Samaria contribute to Israel’s security, only 17% of American Jews agreed. Israeli and American Jews also differed sharply on their perceptions of the major problems confronting the Jewish state. American Jews focused overwhelmingly on security threats and terrorism, with 66% saying security was Israel’s greatest problem. Only 1% said economic challenges were Israel’s greatest problem. Israeli Jews, however, were roughly evenly divided between the two, with 38% saying security threats were the biggest problem, and 39% saying economic issues were. Israeli and American Jews were roughly equally likely (14% and 18% respectively) to see social and religious problems as the primary issue facing Israel. Just as the two populations differ sharply in political ideology, they also exhibit strongly different patterns of religious affiliation and levels of observance of Jewish tradition. Among American Jews, the Conservative and Reform movements are dominant, representing 18% and 35% of the Jewish population respectively. Only 10% of American Jews consider themselves Orthodox. In Israel, however, the Reform and Conservative movements are virtually non-existent, with just 3% of Israeli Jews saying they identified as Reform and 2% identifying as Conservative – far fewer than the more than 22% who are Orthodox. Religious observance is also more prevalent in Israel – even among non-Orthodox Israelis. While a whopping 57% of American Jews say they eat pork, only 16% of Israeli Jews do. Nearly two-thirds (63%) of Israeli Jews keep kosher at home, compared to 22% of American Jews. Fifty-six percent of Israeli Jews light Shabbat candles every week, compared to 23% of American Jews, and 60% of Israeli Jews completed the Yom Kippur fast last year, while only 40% of American Jews did so. To a large extent, the religious and political differences between American and Israeli Jews can be chalked up to two class and ethnicity, journalist and Shalom Hartman Institute Fellow Yossi Klein Halevi says. While American Jews are primarily Ashkenazi, Halevi points out, a majority of Israeli Jews are Mizrachi or Sephardi – immigrants [or their descendants] from the Middle East or Mediterranean. "Factor in the wide ethnic Jewish diversity of Israel. American Jews are mostly Ashkenazi. Israeli Jews are a majority Mizrachi, or more and more a combination of Ashkenazi and Mizrachi, thanks to the growing rate of what we call 'intermarriage'." The other salient difference, class, is rooted largely in the nature of the two populations, says Halevi. "American Jews are a community and function as a community, and Israelis are a people. When you are a community, you tend to be more homogeneous. That isn't to say they're aren't major differences among American Jews. But socioeconomically, American Jews are overwhelmingly middle class, upper-middle class, university educated. Israeli Jews are a people. We've got a working class - a very big working clas - we've got a struggling lower-middle class, we have a middle-middle class, there's small upper class."